A study from the Property Casualty Insurers Association of America released Tuesday has some good news and bad news for auto body shops. First the good news: A lot of customers are using the auto insurance claims process, and they’re happy with it. More than 72 percent of respondents to the survey, conducted by GS Strategy Group on the association’s behalf, had filed an insurance claim. That means the odds are good someone will show up at your shop needing your help. About 55.8 percent of those reported being either “extremely” or “very” content with the claim handling, with 33.4 percent “somewhat” and 8.9 percent “not at all satisfied.” Now while you could argue that the claim handling happiness refers more to the insurers, we doubt they’d be so satisfied if they had a bad experience with the body shop. The survey talked to 1,000 likely voters and has a 3.1 percent margin of error. Now the bad news — the survey found that 77.5 of insurers thought insurers should recommend body shops. About 20.2 said they shouldn’t. Granted, this is a controversial issue in the industry, which means this is good news for shops happy with their DRP or insurers’ treatment. But it’s bad if insurers are “steering” potential customers away from you and to shops that keep insurer costs low through less-than-ideal practices. That’s what’s alleged in the amended complaint filed this week by Florida auto body shops. Asked about their insurer’s selection of recommendations, 69 percent of policyholders thought they received the right amount, while 13.6 percent thought there were too few. (That might be a ray of hope for shops who aren’t in a DRP.) About 1.8 percent thought they received too many recommendations. 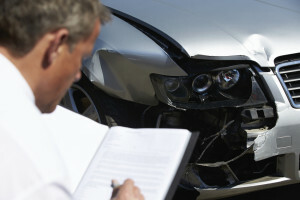 The most disheartening — or wonderful, depending on your shop’s stance — result came when insurers explained both a) they had a direct repair network and b) a policyholder had the right to choose any shop in a question, closing by asking if the respondent favored or opposed the insurer recommending a DRP shop. About 78.3 percent were in approval; 18 percent weren’t. So if you’re not in a DRP or think you’d get less than favorable recommendations from an insurer, what can you do? Hard-core customer service and retention tactics are an added expense, but they can pay off. Some ideas are offered in an excellent 2013 FenderBender profile of Dave Rush of D&M Auto Body, who worked to save his business after cutting ties with Carstar and losing some DRPs.